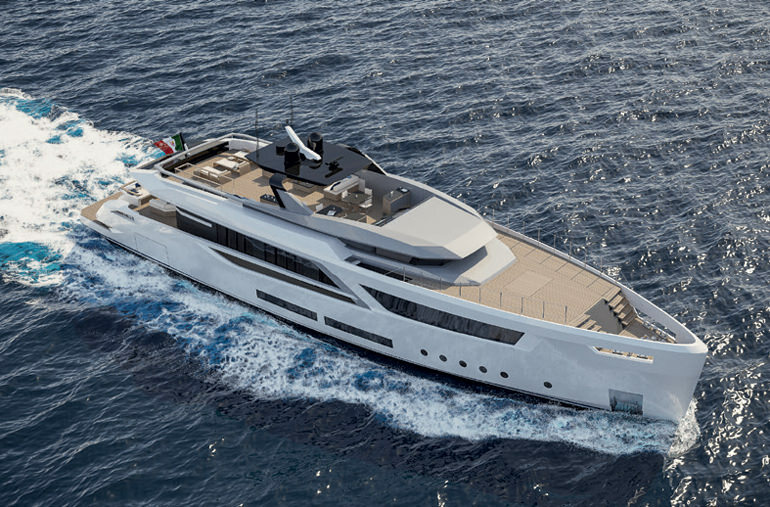 The new 38m project by Hot Lab, the smallest model in the V-Line series, continues Baglietto’s research and development to define flexible platforms and contemporary designs combined with maximum comfort and performance. 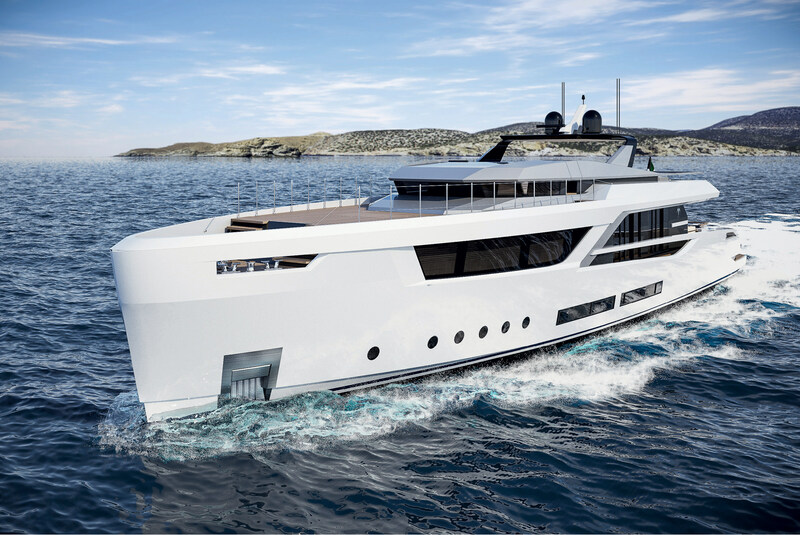 Available in tri-deck and raised pilothouse versions, the all-aluminium design offers sleek, geometric lines and generous spaces both inside and out. The almost vertical bow provides more volume for a full-beam owner’s suite and a fold-down terrace is an optional extra available on request. 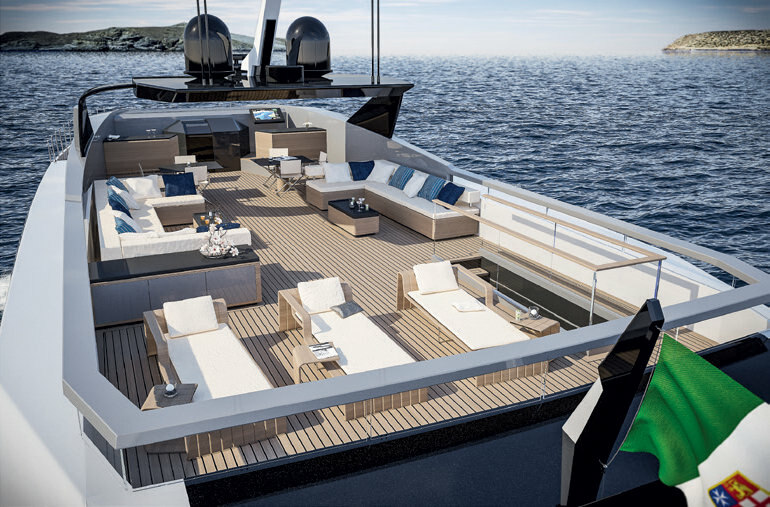 An innovative feature is the flexible foredeck that features a hidden table integrated into the flush deck for open-air dining when at anchor. The sundeck is very large for a yacht of her size with a comfy conservation area, plenty of sunbathing space and a dining table for ten guest with bar. 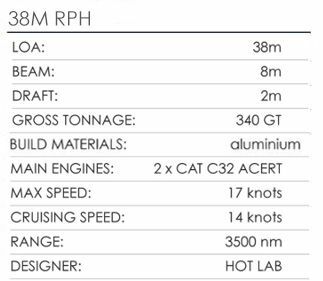 The aft swim platform hosts a transformer- style platform for easy access to the sea, and ample room for water toys next in the side-loading tender garage with direct access from the engine room.